Soil erosion, deforestation, loss of soil fertility, loss of biodiversity and regular drought/floods are now common occurrences particularly arid and semi-arid (ASAL) areas. The affected populations feel these climate change effects than any other category of population. 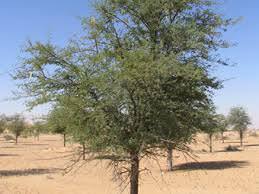 A practical answer to this man-made phenomenon is the adoption and introduction of the acacia Senegal tree species and licorice into agroforestry systems in ASAL areas. The two tree species are drought resistant. Their adoption and introduction into agroforestry systems in ASAL areas is one sure way of increasing forest cover in ASAL areas to mitigate climate change (SDG 13) and make life on land bearable for the affected population (SDG15). The two plant species are also known to be natural nitrogen fixers. They improve soil quality through natural fixation of nitrogen. This helps to enrich the soil to allow agroforestry farmers engage in the production of vegetables and other legumes. This helps in the realization of SDGs 2, 3 and 12. 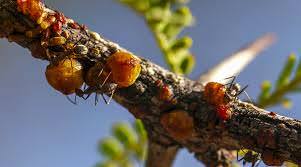 In particular, the acacia Senegal tree species produces the top most grade of gum Arabic. It is very good in hosting bee hives for the production of high quality medicinal honey. The cultivation of licorice is also beneficial. 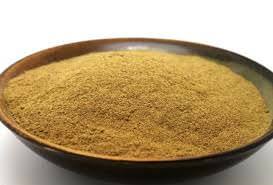 Its extract is a much sought-after commodity worldwide. Apart from the capacity to transform the landscape in ASAL areas to mitigate climate change, an agroforestry system that involves the cultivation of the two plant species creates a sustainable economic activity for the affected population, which addresses SDGs 1, 5, 8, 9 and 10. Furthermore, the agroforestry system proposed creates a beneficial partnership between the implementing organization, development partners/agencies and agroforestry farmers for the realization of SDG 17. The three proposals integrate to achieve SDGs1, 2, 13 and 15. The Climate Stories Proposal aims at changing the public’s attitude on climate change through the sharing of stories and personal experiences on different forums. This is an effective way of educating the public to shift attitude about climate change and adopt behavior/practices that mitigate against it. The proposal’s concept is effective considering the fact that there is limited understanding by the general public about climate change and its effects. The Trees for Food Security project aims at educating and encouraging rural-based farmers who are often constrained of resources to create agroforestry systems using fruit tees. This serves to secure the farmers from food deficiency (fruits) while mitigating against climate change. The Call Center proposal recognizes the need to empower rural-based small-scale famers to adapt to climate change. The proposal achieves this though the establishment of call centers with a toll-free number that farmers call to receive advice and beneficial agricultural technologies in their native languages. The Desertlands Foundation-Kenya’s proposal builds on the three proposals to increase the number of attainable SDGs from 4 SDGs to 11 SDGs for the benefit of the environment and populations in arid and semi-arid (ASAL) areas. 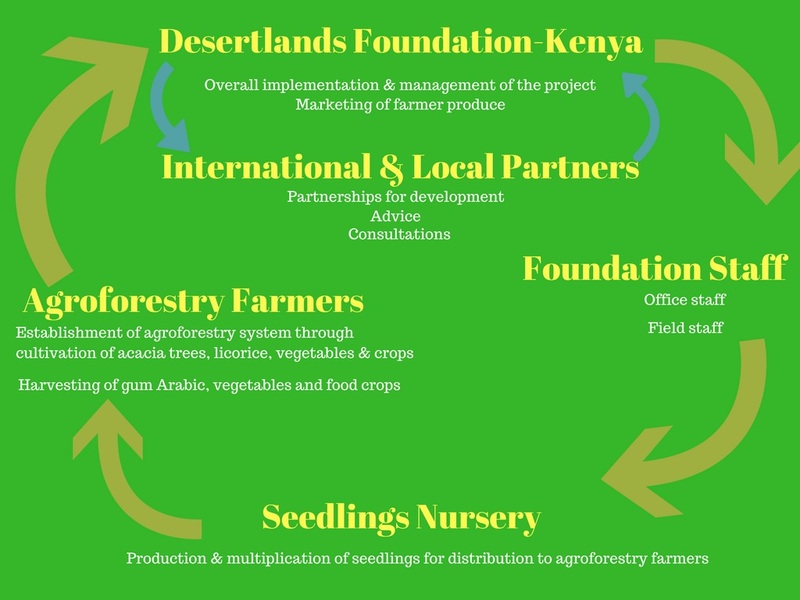 A detailed overview of Desertlands Foundation-Kenya’s Project is necessary for a clear understanding of the specific actions proposed. Populations in ASAL areas experience adverse weather conditions brought about by climate change. 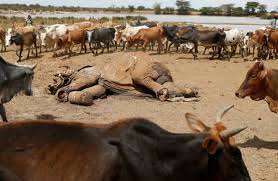 The human population is largely that of pastoralists who often count heavy losses when their livestock die of drought or heavy flooding. Human life is often also at risk. Indeed, human life is often lost as well. Creation of a green sustainable economy through the cultivation of the acacia Senegal and licorice plant species. 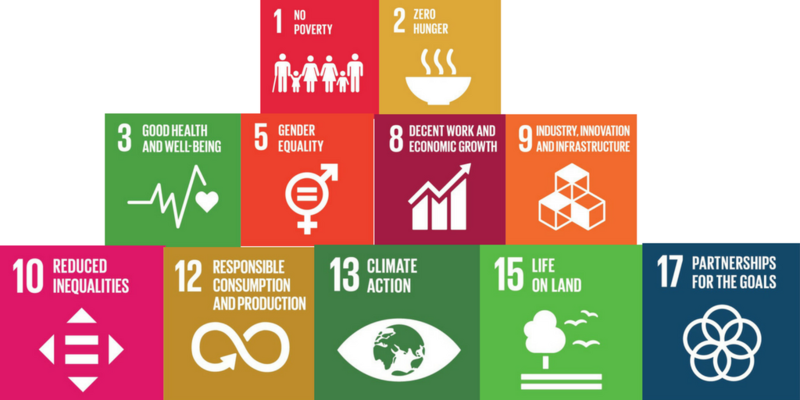 The economic activity created involves both men and women, which leads to reduction in poverty levels, promotion of gender equality, creation of decent work for economic growth, reduction in inequalities, mitigation against climate change to ease life on land and creation of sustainable partnerships for the benefit of humanity and the environment (SDGs 1, 5, 8, 9, 10, 13, 15 & 17). Cultivation of vegetables and other food crops in ASAL areas to combat hunger, promote good health/wellbeing and to promote responsive consumption and production system (SDGs 2, 3 & 12). 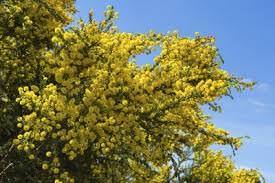 The acacia Senegal is a highly resilient and drought resistant tree species native to sub-saharan Africa. Its adoption as an agroforestry system in ASAL areas will create terrestrial systems that regulate the level of CO2 in the atmosphere to achieve SDG 13. The tree species is native to sub-Saharan Africa. Acacia trees remain standing amidst drought. The tree species is often referred to as ‘tree fertilizer’ and for good reason. The tree species is a natural nitrogen fixer. It sheds its nutrient-rich leaves at the beginning of any rainy season, thereby enriching the soil. This makes it possible for agroforestry farmers to cultivate food crops, thereby achieving SDGs 2, 3, 12 and 15. A piece of arid land reclaimed through the planting of the acacia Senegal tree species. The tree species has also proved to be beneficial in the production of high quality honey. The tree species has medicinal properties. Bees use its flowers to make high quality medicinal honey. The agroforestry farmers in ASAL areas, therefore, will have the opportunity to use the tree species as a source of income through the harvesting and sale of honey, which leads to the realization of SDGs 1, 5 and 10. An acacia Senegal tree flowering in the wild. 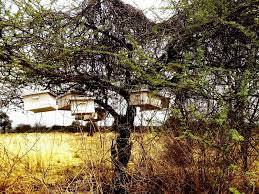 An acacia Senegal tree is good for hosting beehives. The tree species is also known to produce gum Arabic of the highest quality. Indeed, it is the tree species cultivated in the Republic of Sudan’s ‘gum gardens’, earning both farmers and the country significant amount of foreign exchange. 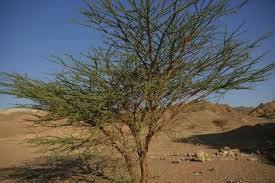 The adoption of the tree species in ASALs agroforestry system, therefore, provides agroforestry farmers with another income source through the harvesting and sale of top grade gum Arabic (SDG 8, 9 and 17. The acacia Senegal tree branches producing gum Arabic. Harvested gum Arabic ready for packaging and export. 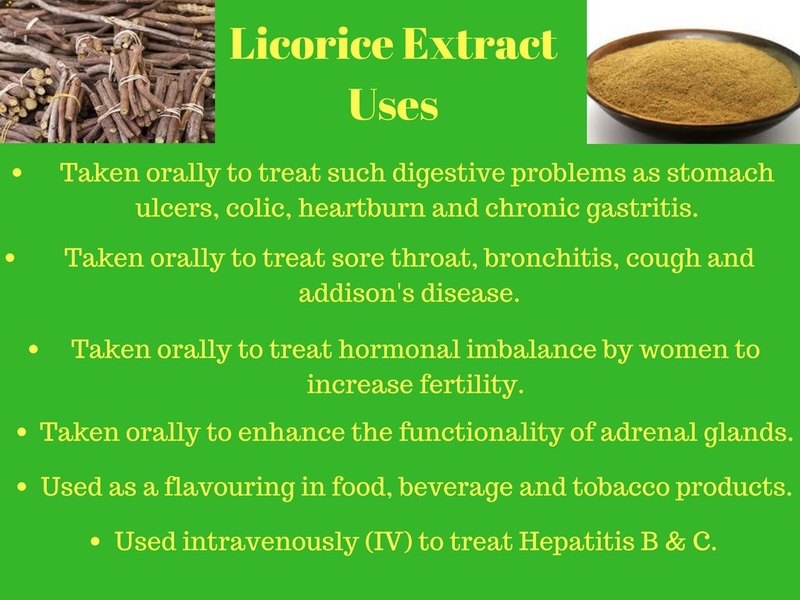 Like with the acacia Senegal tree species, licorice is a hardy perennial herbal plant that does very well in areas that receive limited amount of rainfall. 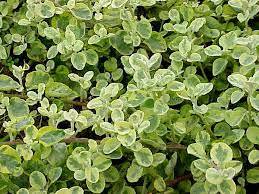 The plant provides good ground cover, which reduces loss of moisture from the soil to allow for cultivation of crops. It is also a very good natural nitrogen fixer. The plant is valued for its stem and roots that are extracted and used in a wide range of applications. Indeed, the plant’s extract is a commodity traded across the world. 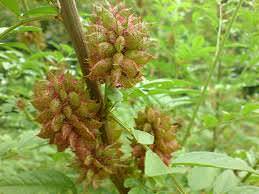 The combination and adoption of the acacia Senegal tree species and licorice plant as an agroforestry system in ASAL areas is very effective in mitigating climate change, transforming the landscape and for production of food in ASAL areas. The implementing organization (Desertlands Foundation-Kenya) shall recruit, train and support agroforestry farmers in ASAL areas. The recruitment of farmers, training and support provided shall be to enable the farmers cultivate acacia Senegal, licorice, vegetables and other food crops on their farms. 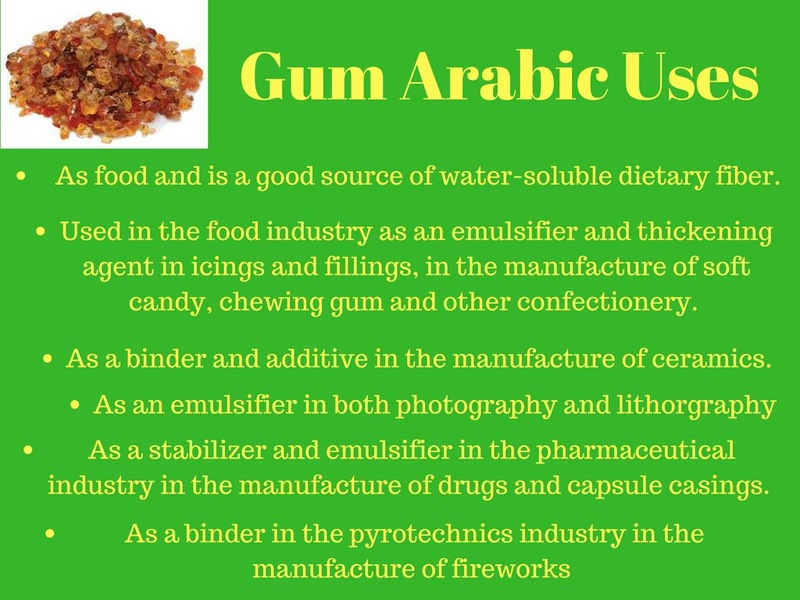 The training shall also cover the harvesting of gum Arabic and licorice products. In order to ensure sustainability, the farmers shall also receive training on agro-ecological management practices recommended for ASAL areas. Training on ecological management practices shall cover such topics as mulching to prevent formation of crust on the soil surface and wind erosion, formation of contour strips to contain run-off water, strip cropping to minimize soil erosion and increase water absorption, fallow system to allow for replenishment of farms, minimal tillage to preserve soil moisture, crop rotation to minimize crop diseases and pests and water harvesting techniques. Agroforestry farmers will be trained and supported to cultivate acacia Senegal, licorice, vegetables and food crops on their farms. The targeted vegetables and food crops to be grown by agroforestry farmers are those that have already been identified to be suitable for cultivation in ASAL areas within the tropics. They include cereal grains (corn, sorghum and pearl millet), grain legumes (common bean, cowpea, pigeon pea, lablab bean and mat bean), leafy vegetables (cassava, comfrey and kales), root crops (cassava and white yam) and fruit vegetables (watermelon, okra and mixta squash). The vegetables and food crops produced by the farmers will be for their own consumption. They will also be in a position to sell any excess vegetables and food crops in the local market where demand for vegetables is always on the rise. The implementing organization will buy the honey, gum Arabic and licorice extract products harvested by the farmers for processing and sale both in the local and international markets. Although a not-for-profit organization, Desertlands Foundation will certainly earn profits from the sale of honey, gum Arabic and licorice extract products. The profits realized will be channeled back into the project for the purpose of sustaining and scaling up the project to cover other ASAL areas in Kenya and in neighboring countries. The global honey market is currently worth US$12 billion with demand exceeding supply significantly. According to USAID, Kenya only produces and exports 7300 tonnes of honey annually when it has the potential to produce and export 100,000 tonnes of the same. The main markets for the little honey that Kenya produces is exported to the United Arab Emirates. 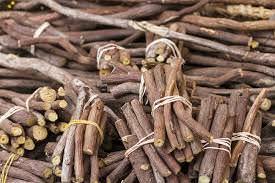 The global licorice extract market is currently worth US$1650 million with Turkey, China and France being the main producers. The market is projected to rise to US$2378 million by the year 2023 (https://www.reuters.com/brandfeatures/venture-capital/article?id=18292). The rising demand for licorice extract means that there will always be a ready market for the extract for the benefit of the implementing organization and agroforestry farmers in ASAL areas. Similarly, demand for gum Arabic is on the rise. 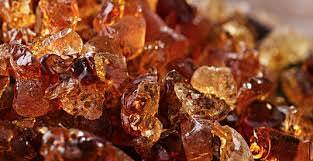 The global gum Arabic market is currently worth US$800.3 (https://www.futuremarketinsights.com/reports/gum-arabic-market) with the Republic of Sudan supplying 80% of the commodity. The tree species is cultivated in the Sudan in “gum gardens”, earning the country and farmers foreign exchange (https://mobile.nation.co.ke/business/seeds-of-gold/3112330-3934070-55r6or/index.html). 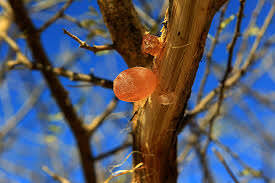 The ever-increasing for high quality gum Arabic also means that both the implementing organization and agroforestry farmers in ASAL areas will have a ready market for harvested gum Arabic. The Desertlands Foundation-Kenya project builds on the three Climate CoLab proposals. 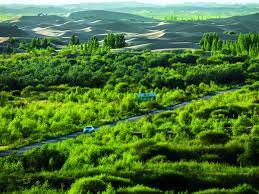 It also borrows from the restoration measures adopted for the greening of China’s Kubuqi Desert (http://time.com/4851013/china-greening-kubuqi-desert-land-restoration/). The Kubuqi Desert: before, during and after restoration. The project is to be implemented and managed by Desertlands Foundation-Kenya, a not-for-profit non-governmental (NGO) organization specifically created for this project. Desertlands Foundation-Kenya is to enter into Public-Private-Community Partnership agreements with government agencies, international and local partners and communities in ASAL areas for the successful implementation of the project. The establishment of an organization (Desertlands Foundation-Kenya) dedicated to the promotion of acacia Senegal and licorice as an agroforestry system in ASAL areas. The establishment of partnerships between governments, communities in ASAL areas and development partners for the successful implementation of the project. The launch of a vigorous fundraising campaign both at the local and international levels to secure the necessary funds for successful launch and implementation of the project. Establishment of forums within ASAL areas for dissemination of information on the causes of climate change, effects of climate change and the benefits of adopting both acacia Senegal and licorice plant species as an agroforestry system. Establishment of dedicated farmer training venues. Establishment of a dedicated call center with a toll-free number for use by the population in ASAL areas. Recruitment and training of trainers (ToTs) to recruit and train farmers in ASAL areas on the planting and management of both acacia Senegal and licorice plant species, production of vegetables, food crops and harvesting of gum Arabic and licorice extract. Establishment of a large-scale nursery for the production and multiplication of acacia Senegal, licorice and vegetable seedlings for distribution to agroforestry farmers to be recruited. Putting in place necessary systems including monitoring and evaluation system for the smooth implementation of the project in partnership with the government and development partners. The implementation of these actions, when completed, will create a powerful circular partnership between the implementing organization, the government, local/international partners and communities in ASAL areas. The actions, when implemented, will see launch of the project in ASAL areas to achieve the 11 SDGs (1, 2, 3, 5, 8, 9, 10, 12, 13, 15 and 17) enumerated in this project that can be summarized as end to poverty, food security/good health, protection of the planet (earth) and prosperity for all regardless of gender. This will be the vehicle for the implementation and management of the project. To set up the necessary implementation systems including the establishment of working groups that bring together personnel from relevant national government agencies, county governments in ASAL areas, development partners, other NGOs and representatives of ASAL communities among other stakeholders. To recruit professional personnel to steer its activities in the field. These will mostly be trainers who will be responsible for training agroforestry farmers. 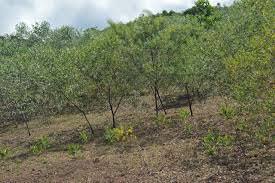 To establish a large-scale nursery for the production and multiplication of acacia Senegal, licorice and vegetable seedlings. The seedlings are to be distributed to agroforestry farmers at no cost. Ministry of Agriculture, Livestock & Fisheries – To make available its grassroots structures for dissemination of information relating to the project, to second professionals to offer necessary advice and to issue necessary licenses. Ministry of Trade & Industry – To issue necessary trade and export licenses for gum Arabic and licorice extract. Kenya Forest Research Institute – To provide quality seeds and technical advice for the successful establishment of large-scale nursery. Meterological Department – To provide climate information to the organization’s call center for the benefit of agroforestry farmers in ASAL areas. Ministry of ICT – To provide technical expertise in the establishment of call center. Immigration Department – To provide working permits to a foreigner or foreigners who may be sought to work on the project. Approve the proposed project to be undertaken in their jurisdictions. To allocate land for the launch of the project. The organization is to establish partnerships with both local and international development partners and NGOs. To provide both technical support and advice for successful implementation and operationalization of the project. Targeted partners to be engaged include ICRISAT, DfID, AIACC), FAO, IPCC, IDRC, GEF, NCCSAP and CSAG and World Agroforestry Center among others. Small-scale livestock farmers in Kenya’s ASAL areas bear the brunt of climate change. They lose all their livestock, which is their livelihood during both drought and flooding, which have become common occurrences. The farmers are to be recruited, trained and organized in agroforestry groups. They are to be trained on the cultivation and management of both acacia Senegal/licorice and the harvesting of gum Arabic and licorice extracts. They are also to receive training in the production of vegetables and other cash crops for their own consumption. The pilot phase of the proposed agroforestry project is to be launched in three ASAL counties in Kenya namely Machakos, Kitui and Makueni. This is before they are scaled to cover other ASAL areas in Kenya and other countries. Machakos County is an ASAL area. 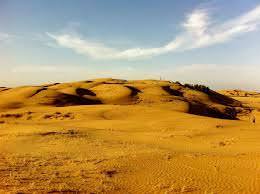 The county has a hilly terrain with an altitude of between 1,000 and 2,100 meters above the sea level, which is perfect for the cultivation of acacia Senegal tree species and licorice. The county residents are largely subsistence farmers. While Kenya’s poverty level is at 45.9%, that of Machakos County is at 59.6%. The county covers an area of 5,952.9 km2 and hosts a population of 1,098,584 people, most of who are subsistence farmers. The organization intends to recruit, train and introduce 50,000 famers from across the county to acacia Senegal agroforestry system. Each farmer is to be supported to plant and manage at least 10 trees to have a population of 500,000 trees across the county. Makueni County is another county in Kenya that lies in an ASAL area. 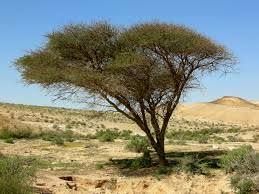 The county is fairly that of flat terrain and hosts a number of acacia Senegal trees in the wild. Like in Machakos County, the residents of Makueni County are largely subsistence farmers. While Kenya’s poverty level is at 45.9%, that of Makueni County is as high as 64.1%. The county covers an area of 8,008.9 km2 and hosts a population of 884,527 people, most of who are subsistence farmers. Kitui County is the largest county in Kenya lying in an ASAL area. The county covers an area of 24,385.1 km² with a population of 1,012,709 people. Majority of the residents are either iron mongers or subsistence farmers. 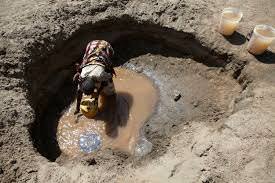 While Kenya’s poverty level is at 45.9%, that of Kitui County is as high as 63.1%. Overall, the organization intends to launch with the recruitment and training of 150,000 small-scale livestock farmers to be introduced to agroforestry farming. The farmers are to be supported to plant and manage a total of 1,500,000 acacia Senegal tree species on their farms. The adoption of both acacia Senegal tree species and licorice as an agroforestry system is highly scalable in ASAL areas. The scaling of the project only involves the establishment of demonstration centers in other ASAL areas. The centers serve to teach and introduce other peasant farmers to the benefits of adopting agroforestry using acacia Senegal and licorice plant species. The implementation of the proposed actions will make it possible for human population in ASAL areas to not only adapt to climate change but help in mitigating it. From available scientific study results, a single tree can store at least 48 pounds (28.1 kg) of carbon in one year. 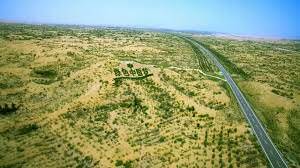 The Desertlands Foundation project is to launch with 1,500,000 trees. The trees will serve as a sink to store at least 72,000,000 pounds (422,000,000 kg) of carbon within a period of 3 years after planting. According to IPCC’s calculation of at least US$3.7 for every 1 ton of carbon stored, the Desertlands Foundation-Kenya project will store carbon worth at least US$5,777,000 within a period of 3 years. This will go along way to mitigate climate change to help protect the planet. The transformation from small-scale livestock faming to agroforestry faming will enable the population to be self reliant in food in addition to developing their own unique sustainable economic activities. The use of an indigenous tree species and a foreign plant to mitigate climate change and make life bearable on land (ASALs) to address SDGs 13 and 15. Transformation of ASAL areas, which are turning into deserts, to fertile agricultural fields though a unique agroforestry system to address rampant hunger (SDGs 2, 3, and 12). The creation of a unique industry in ASAL areas for economic empowerment of native population to address extreme poverty levels (SDGs 1, 5, 8, 9 and 10). The creation of Public-Private-Community Partnerships for the realization of the goals (SDG 17). Kenya has institutionalized a National Climate Change Secretariat and an action plan. This project is perfectly in line with the national action plan whose policy is the enhancement of climate change actions toward a low carbon and climate resilient development (http://www.mtp3.go.ke/portal/data/apis/uploads/Draft%20Climate%20Change%20Thematic%20Working%20Group%20MTP%20III_20June2017_21.pdf). This is a large project that requires a significant amount of both financial and material resources. For the record, the project does not create any trade-offs that hinder the achievement of any SDG. This is because the project focuses on the adoption and introduction of a unique agroforestry system in ASAL areas. The pieces of land owned by individual famers that the agroforestry system is to be introduced are bare and unproductive. The pieces of land literally lie idle. The following are the projected economic costs associated with the launch of the project in all the three indicated counties for the piloting phase. The successful implementation of this project is a keen to what has been achieved with the Kubuqi Desert Restoration project in China but with a slight difference. The use of an indigenous tree species to transform ASAL areas into agricultural productive farms through agroforestry will not only combat the growing desertification. It will also mitigate climate change effectively in addition to empowering the human population in the affected areas socially and economically. Funding - It may be a serious challenge to find donors/investors who believe in the project and can commit funds to its realization. Forest financing, especially in ASAL areas, takes time (at least 4 years) to actualize. Very few investors may be willing to wait that long to recoup their investment. However, a vigorous campaign with support of both national and international partners should secure the necessary startup funding. Attitude change - The project is to be launched in ASAL areas. The population is mainly that of pastoralists. Changing their attitude to embrace agroforestry may pose some challenge. The implementing organization intends to use established government structures to address this challenge. This proposal is authored by Tom Gard, the founder of Desertlands Foundation-Kenya. Mr. Gard is a self-made entrepreneur. He ventured into entrepreneurship at the age of 20 after losing his first employment. Mr. Gard’s first entrepreneurial achievement was the establishment of Tom Gard Writers’ Bureau in 2006. This was a writing agency that grew to become a major writing outsourcing agency for Kenyan university students. Mr. Gard has always had a passion for organic farming of vegetables. He, therefore, sold off Tom Gard Writers’ Bureau to establish Migo Ranch & Farms in 2015. Migo Ranch & Farms is a startup agribusiness that focuses on the production of organic vegetables. The business is currently piloting in Machakos County, one of the ASAL areas in Kenya where the implementing organization plans to launch is agroforestry project. Mr. Gard is a Kenyan residing in Kenya. He is an alumnus of the Tony Elumelu Foundation, SEED and Bridges for Enterprise. The latter is a society based at the University of Cambridge. 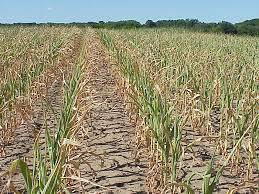 It is good that Kenya recognizes climate change as a serious threat to the county’s agricultural sector and food security. To counter this real threat, the Ministry of Environment and Natural Resources has developed friendly policies that support policies that encourage actions that mitigate against climate change. Indeed, Kenya has institutionalized the National Climate Change Secretariat that has developed a climate change action plan. The action plan’s policy is that which enhances climate actions aimed at mitigating against climate change. The proposed project will certainly need specific incentives for successful implementation. In particular, the project will need tax incentive for a specific period. Tax incentive will enable the implementing organization to plough all the profits realized back into the project for the purpose of scaling to cover other ASAL areas. It is refreshing to note that the Government of Kenya offers tax incentives for up to 5 years for the benefit of organizations working for the development and empowerment of rural communities. The availability of funds will be Key to the successful launch, piloting and implementation of the proposed project. Like with other African countries, Kenya is constrained of financial resources to allocate to a project of such a magnitude. It will, therefore, be very necessary for the implementing organization to seek funding from donors, investors and willing partners. The idea here is to launch a major funds drive campaign both locally and internationally in collaboration with identified partners and organizations to secure the necessary funding. The availability of working structures is very necessary for successful implementation of the proposed project. Luckily, Kenya has well established structures in the form of National Government Country Administration and Ministry of Agriculture’s farming structures. These two structures extend down to the village level. The implementing organization will make use of the structures to disseminate project information down to villages in ASAL areas. Goodwill from both the government and communities in ASAL areas will be very necessary for the launch and implementation of the proposed project. In particular, political goodwill will be very necessary. This is because Kenyans are a highly political people and any new project is often viewed from political perspective. The good thing about the proposed project is the fact that the implementing organization will be a registered foundation (Desertlands Foundation-Kenya). This is good because Kenyans in rural areas trust initiatives launched by not-for-profit organizations than those launched by the government.